There must be something about spring that has me all off. This was by far the hardest month in keeping with my monthly goals. I craved soda more days than usual during the month of April. I gave in a few times. My average wake up hour was anywhere between 7am and 7:20am. Not sure why that is considering the sunrise is well before that now. I definitely slept in on the occasional day more so than before. I finished my new book for the month in under 15 days. In keeping with my goal, I didn’t move on to another book. One.Per.Month. Completed the book review for Rhinoceros Success. On Chapter 7 of Getting Things Done book review. 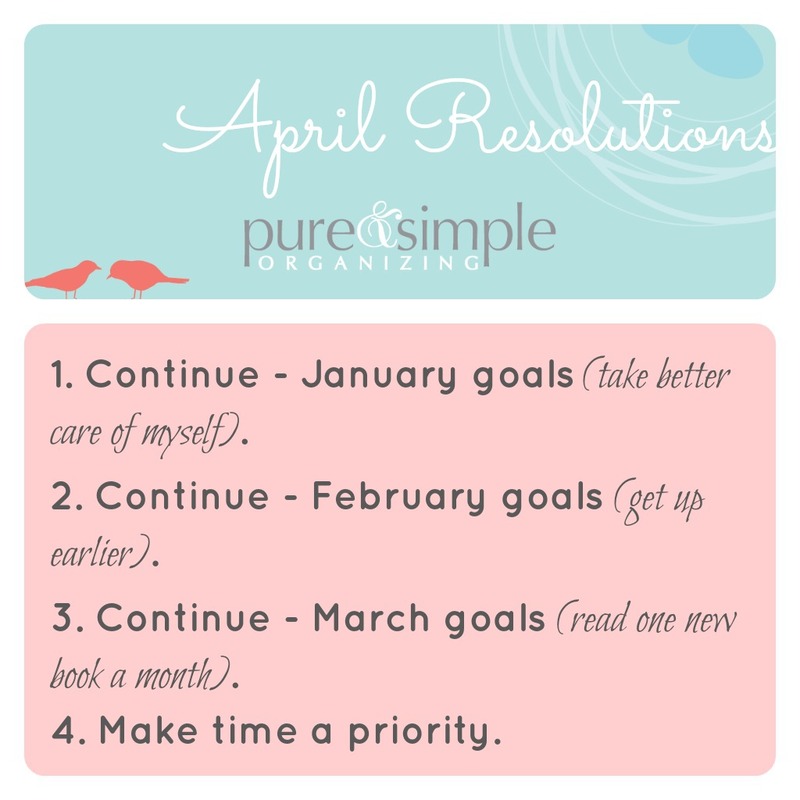 April Goals (make time a priority). Rough month with minimal progress to show for the goal. True to form, I found my calendar over ran with appointments and commitments that (to be honest) I didn’t really want to participate in. We all have a life to live that we signed up for. Commitments that we simply cannot change. Take for instance my networking group. I have two monthly commitments (minimum) that I cannot change. I must work around those. Other requests must be filtered through my priority funnel before answering. A few weeks ago I had a long conversation with Dwell by Cheryl about time, appointments, requests, and the like. She offered some great insight. I recently read Laura Vanderkam’s new ebook; she also had a great point of view. We are in charge of our time and no one else. People will ask for lunches, coffees, meetings, ideas, etc. Only you can determine if that fits your priority list. We must be stewards of our own time. I’m getting much better about this. But it is very slow progress. Remember Jennifer, Must.Not.Die a slow death from a thousand opportunities. Just because someone asked, doesn’t mean you have to say yes. If I say no to your request, then please don’t take it personally. I’m just learning to manage my time as it slips away so quickly. Hello, April 30th!